Hey all, wondering if anyone has put an LED light bar ON the front bumper? I had a friend give me a 24 bar, and am thinking about maybe mounting directly on the bumper . Just wondering if anyone has any pix of how they may have done theirs, if anyone has? I know i'm going to have to make new mounts for it, the ones it has arent going to work at all i dont think. Last edited by e207; 06-11-2017 at 06:11 PM. 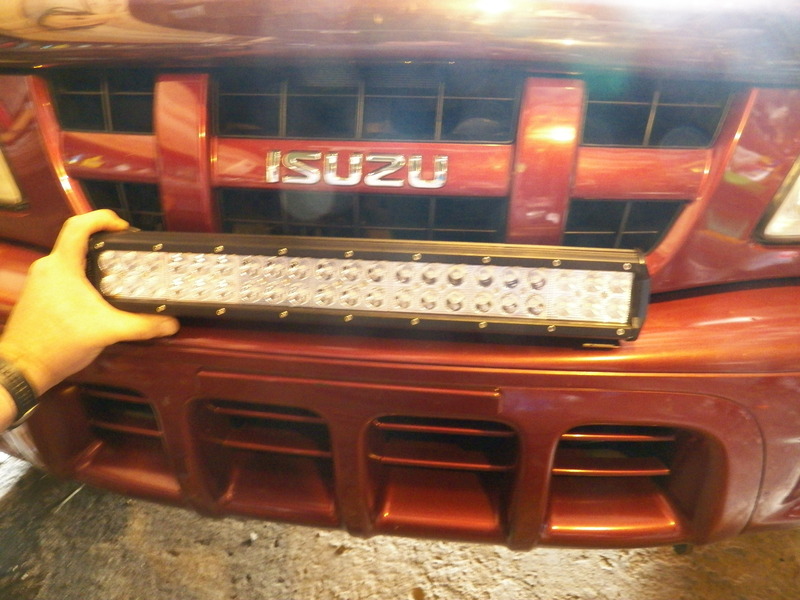 Quick Reply: LED bar on front bumper ?